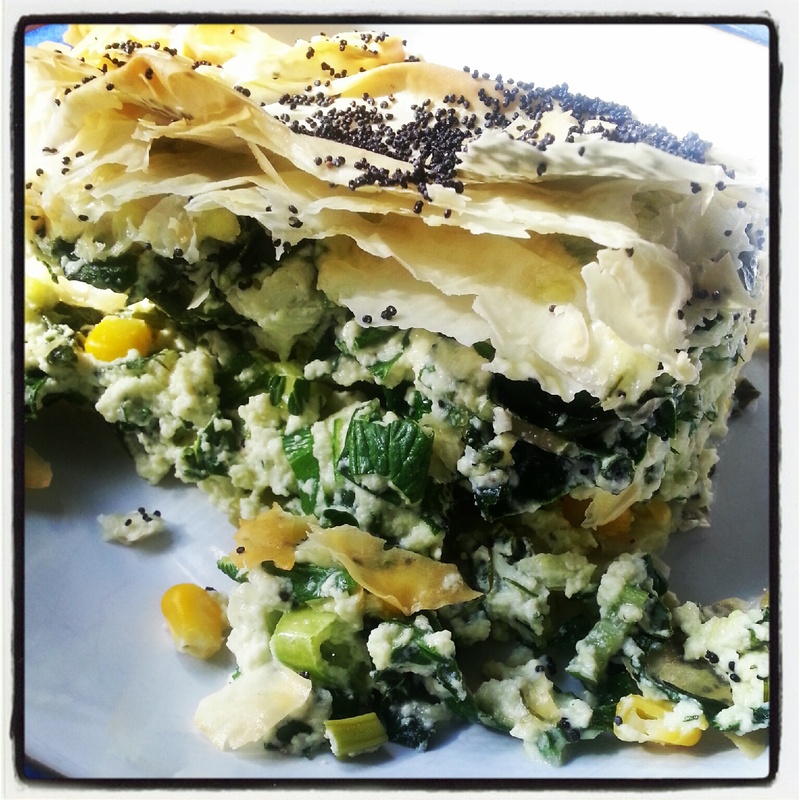 There are one hundred and eleventy gagillion recipes for spinach and ricotta pie. Duyvken recently made a version that I have been valiantly trying to recreate ever since – it was not as spinachy as normal and so so simple. 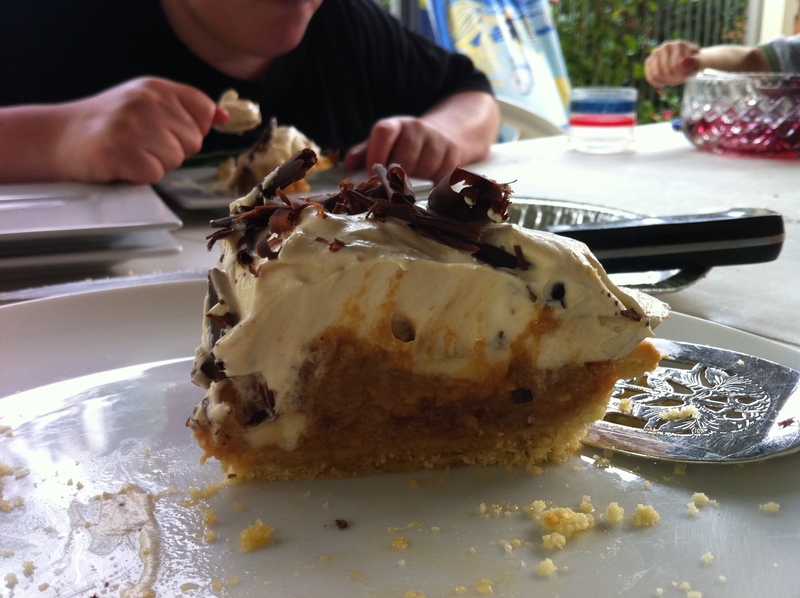 The picture below is a variation on her recipe. I, of course, couldn’t help varying it. I added too much stuff to it and while it was delicious if you want a oozy creamy concoction then follow the basic recipe. In the picture below there is also 2 shallots, kernels from 1 cob of corn, several sprigs of mint and dill. Bake for 40 minutes or until nice and golden and a knife inserted in the middle of the pie comes out nice and hot.